You are currently browsing the tag archive for the ‘best of’ tag. I think there were a lot of wonderful looks last night on the red carpet and during the show. It was pretty consistently good, and some people took some risks that I think paid off in spades. Whatever you think of Anne Hathaway the Host, she (mostly) killed it this year as Anne Hathaway the Dresser. This Armani Prive gown she wore during the broadcast is a stunning blue jewel tone, and much different than anything other ladies had on that night. I also love the off-the-shoulder look. Red complements Sandra’s hair color and skin tone, and this Vera Wang gown did the job very nicely. It’s subtle, but with a great shape. For a red carpet newbie, Hailee has been killing it this awards season, opting for dresses that are age-appropriate but not childish. The pink hue of this Marchesa dress is young, girly and fun. I love the textured skirt with the light pattern. Also, she opted to wear Chuck Taylors with the gown for the after parties, which is basically the cutest thing ever. I think this second entry features a strong batch of films, for me at least. I even have two documentaries listed! Let’s hear it for me being all kinds of diverse. The more time I spend writing this list, the more certain I feel that I need to watch a greater number of films. Now, onto the best of what I have seen. 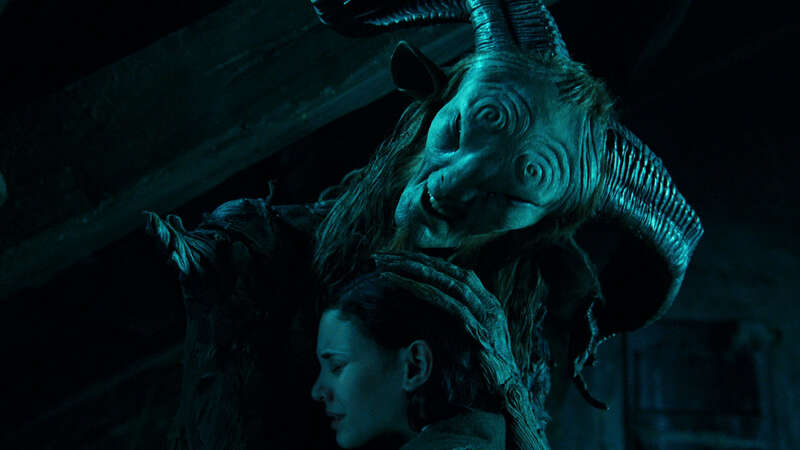 An intense, chilling fairy tale, laid out beautifully by the very imaginative Mexican director Guillermo del Toro, Pan’s Labyrinth is eerie and dark, the way most fairy tales were before Disney laid claim to them. Even the Faun, one of the “good guys,” is slightly terrifying, but he pales in comparison to some of the vicious baddies here, like the Pale Man and our heroine’s unusually cruel stepfather. Unlike the candy-coated Princess tales of late, Pan’s Labyrinth doesn’t end on a decidedly happy note. But then, it has a strong tether to reality, much more so than faries and fauns and mandrakes would first lead us to believe. 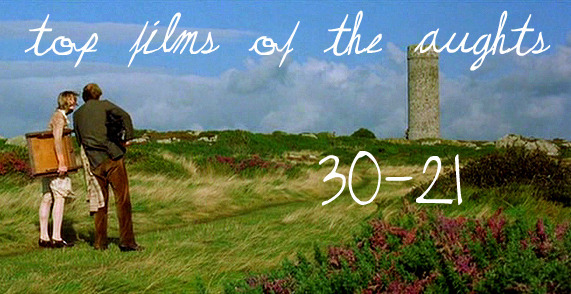 I got a little out of control and ended up with 50 films on my “top films of the decade” list. 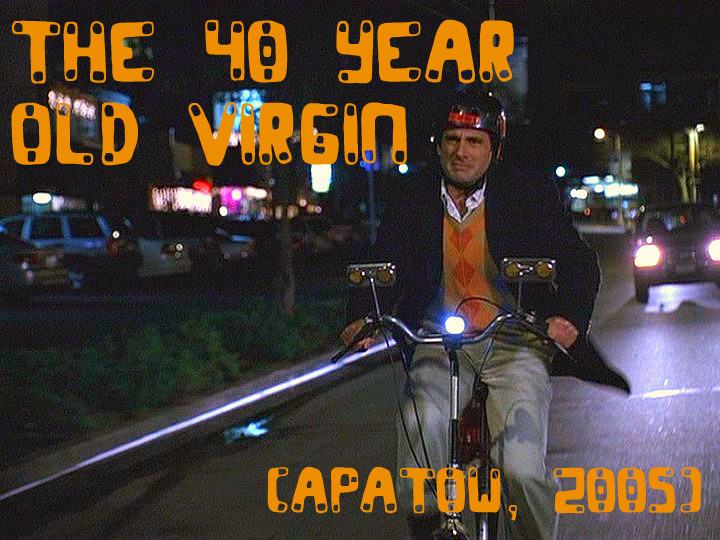 While I’ve seen a lot of films from this decade, I know that I haven’t seen nearly enough. So, the list will be a mixture of my personal favorites (even the rather stupid ones that I just love to watch over and over again), and the ones that I think are the best. And that’s 50 films. Whew. I’ll rank the top 30, and do write-ups for some, if not all, of them. For now, here are 20 honorable mentions, just in alphabetical order. Finally, I’m making my list of the best albums of the year. 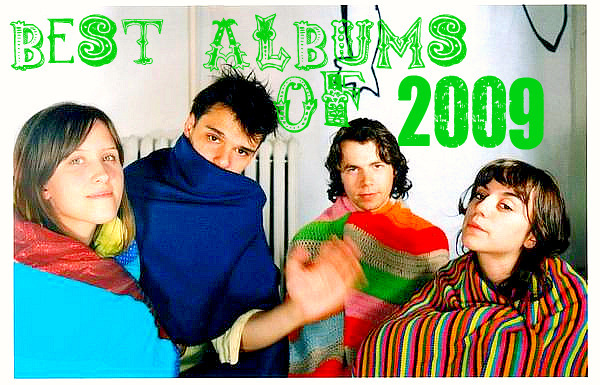 Admittedly, there are a few more albums from 2009 I’d like to give a listen, but since I don’t have a way to stretch time, unfortunately, this will have to be it. But it’s still a solid list, I think. Enjoy! 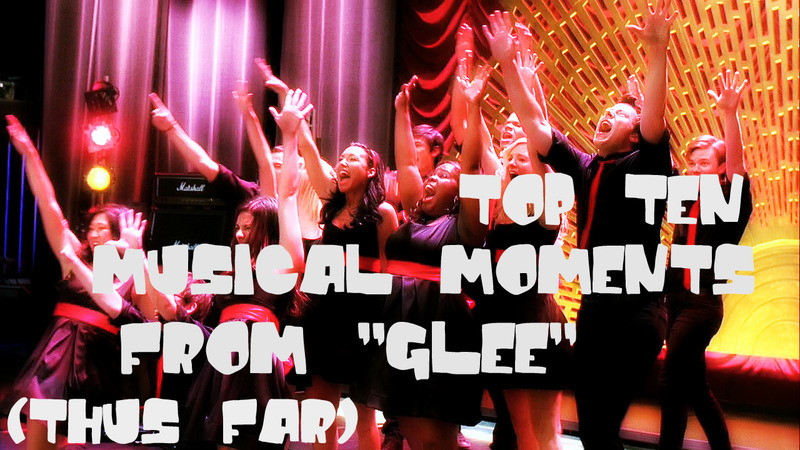 I recently compiled a list of my top ten favorite musical moments or performances from the first 13 episodes of Glee, for discussion purposes with some fellow fans. Let me just say that it was very difficult to whittle this down to just ten performances. My rules were that we had to see a good portion of the song on screen, and… actually, that was really my only rule. 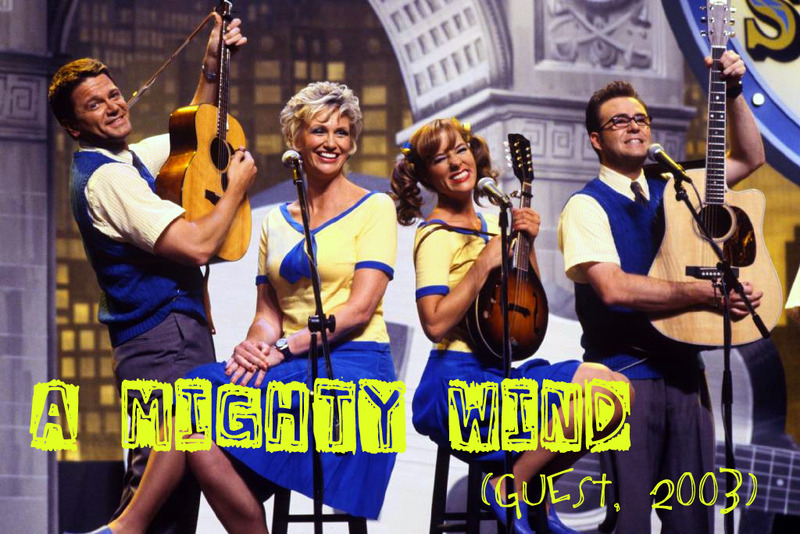 That kept out numbers like “Taking Chances,” which was a great song, but we didn’t hear more than a snippet of it on the show. I also tried to take into account lots of different aspects, like singing, music arrangement, dancing/choreography, emotional meaning behind the song (particularly for the character(s) singing it), context, and impact. I narrowed it down to twenty options, then peeled a few away until I was left with ten. I’ll post the other ten at the end of the list. 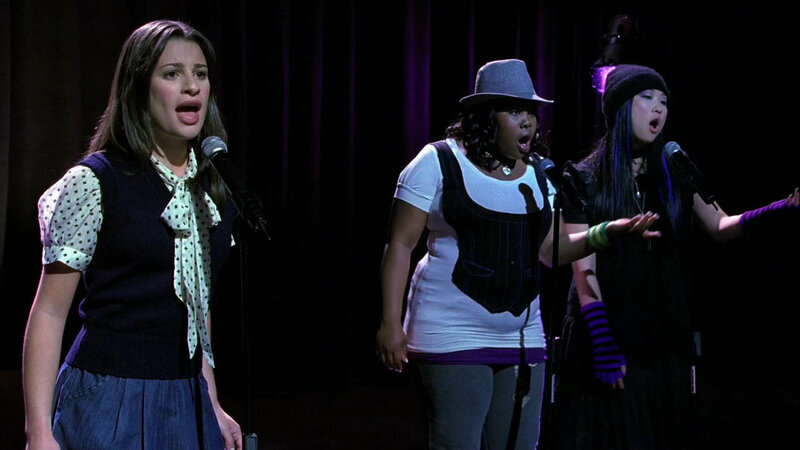 This is both a great performance within the episode (well-shot and acted) and as a regular song. I definitely prefer it to the original Rihanna version. It’s a defining moment for Rachel, who is beginning to realize that she can’t have everything that she wants. If she is going to aim for stardom, some other aspects of her life, like friendships and romances, might have to fall by the wayside. Rachel faces disappointment a lot – I think we tend to forget that because she’s so upbeat and determined – and that’s why this peek past her “I’m going to be a star” exterior is so emotional. I think it was a star-making moment for Lea Michele as well, as it showed that she can do more than play an all-singing, all-dancing version of Tracy Flick.